A new version of MykoCD is now available! MykoCD contains the complete contents of MykoWeb (including The Fungi of California) plus the complete contents of the Mycological Society of San Francisco's website. Bonus features on MykoCD, that are not included in the websites, are a trailer of Taylor F. Lockwood's Treasures from the Kingdom of Fungi DVD, a mushroom slide show, and a mushroom screen saver. You can read the introduction to MykoCD for more information. 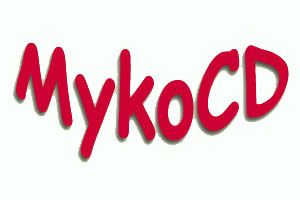 This version of MykoCD will only run on 32 bit Windows computers (Windows 9x, Windows ME, Windows NT, Windows 2000, & Windows XP). MykoCD is temporarily out of print!